Project-based learning is significant at Balmoral Hall School as students use their problem-solving skills to solve a problem beyond the classroom. For example, when it was determined that the school library needed additional seating, Middle School students solved the problem by building chairs as a flex activity last spring. Reading the instructions, and then using an electric screwdriver and other tools, they built (and rebuilt) four chairs through teamwork, having to take them apart more than once. They loved it! 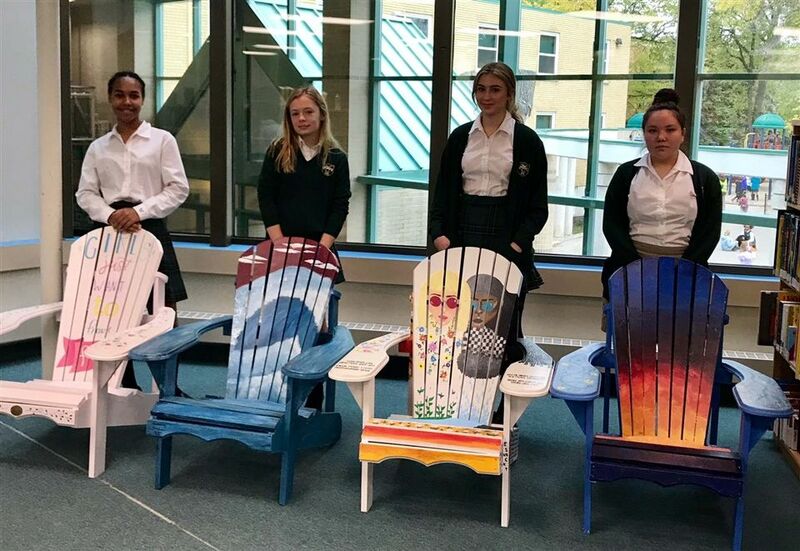 Afterwards, Centre for Learning Director Rita Trautmann sent an email to Senior School students, looking for volunteers to take the chairs home and paint them over the summer. In moments, she had more volunteers than chairs! We provided them with materials, and they worked all summer long to create one-of-a-kind art that will remain in the library long after they have graduated. Says Mrs. Trautmann: "This is exactly the kind of project that will be supported by new programming in the Centre for Arts & Design." Thank you to all those students involved in this incredible project! Our thanks, as well, to the Gauthier family, for their offer to assist us by spraying the chairs with a protective finish.